Plumbing is one of those things that we often don’t think about because it’s hidden. With the major pipes behind walls, under cabinets, and running across the ceiling of the basement, it’s easy to forget completely about it. Until, of course, there’s a problem. That’s when you need to take action. Of course, it’s much better if you can discover a problem before it causes significant damage. Sometimes there’s a drip or knocking pipes to clue you in, but not always. Here are five silent signs that your home has plumbing issues you should handle as soon as possible. When you go to your basement, take a moment to look at the water pipes you can see. The next time you need to open your kitchen or bathroom cabinets, do the same. Do you notice any odd coloration? Be sure to check especially around joints. If you notice an odd colour, rust, or any kind of gunk building up, that’s a sure sign there is a leak. It’s possible the leak is from the supply line, which could cause a huge mess if it bursts. Contact a plumber right away to get help. It may not make noise, but you’ll certainly notice it. If you notice a nasty sewer smell in your home, check and see if it’s coming from outside. If you step out of your home and don’t smell the same thing, you probably have a problem with your plumbing. Drains and vents are designed to keep sewer gas vented outside of your home, so if you can smell it, there’s something wrong with that system. A vent line may be cracked or a drain may not be working properly. Either way, you’ll want to take action. If it’s been quite cold and you notice a drop in water pressure or you simply have no water at all, it’s possible your pipes have frozen. This is a major concern and has to be handled right away. Unfortunately, thawing the pipes is the least of your concerns. You have the most danger of an incident after the pipes thaw and the water suddenly returns at high pressure. Any splits or leaks that have occurred as a result of the pressure of the freeze will suddenly be very noticeable, and you may even have a pipe burst. Do your best to keep your pipes from freezing in the first place, but if it happens, you may want a professional to help you fix it safely. If you notice problems with paint bubbling from the inside, it’s a sure sign that there’s moisture behind the wall. Unfortunately, this can lead to a host of problems, from mould and mildew to pests and damage to your home’s structure. It’s possible there’s a leak from the roof, a nearby window, or even a plumbing pipe that’s nearby. You’ll have to do some investigation to discover what’s wrong, as these kinds of plumbing leaks can be a bit sneaky and hard to find. Once you do fix the issue, you’ll want to work with a company that provides waterproofing in Toronto so that you can ensure that no moisture will find its way into your walls again. You know how much your water bill is most months. If you have a sudden spike, you should immediately look into what’s going on. Of course, water rates change over time, but they don’t usually cause a huge change from one month to the next. First, consider if you have done anything that would increase your water usage significantly. Did you install irrigation in the yard? Did you fill a pool for the season? 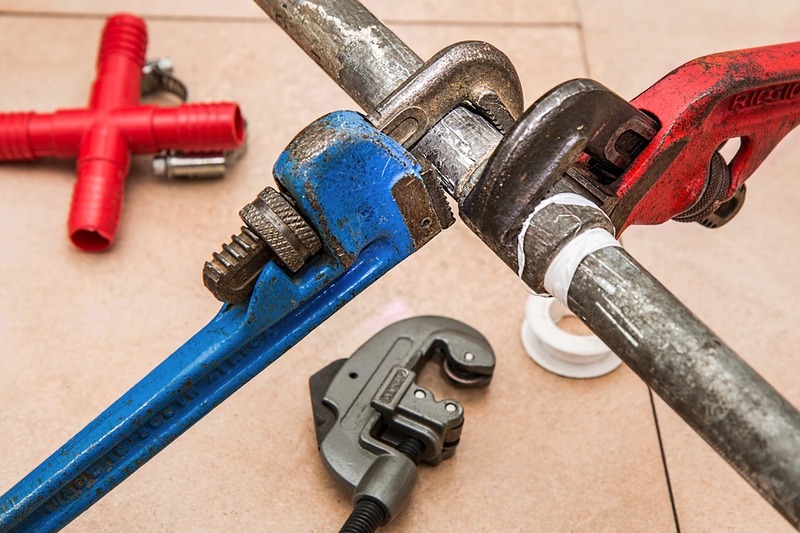 If you haven’t done anything differently, it’s likely there’s a leak or problem in your plumbing system instead. A running toilet, for instance, can cause hundreds of dollars of extra water usage. You should fix your running toilet or address whatever leak is happening right away. One of the most silent but deadly things about water leaks is that they promote the growth of germs, bacteria, mould, and mildew. These things can significantly impact the health of you and your family. Younger children and older adults are especially at risk. If you keep an eye on your plumbing issues and help make sure everything is up to date and working well, you’ll be promoting great health in your home. Your air quality and water quality will be better, and you’ll avoid provoking allergies or other illnesses. Of course, it’s always best to have professional help with your plumbing issues. They know exactly how to identify problems and fix them safely. If you notice a problem, call a plumber right away!